Show your love for the Star Wars universe with these amazing cufflinks! 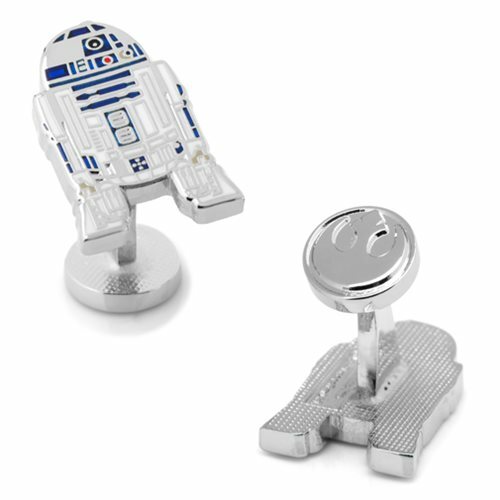 The Star Wars R2-D2 Enamel Cufflinks are made of plated base metal with enamel. Your friends will be envious you and your cufflinks featuring the adorable droid. Measures about 7/8-inches tall x 5/48-inches wide.